Spacious Home w/ Finished Walkout in Desirable Royal Pointe Sub. 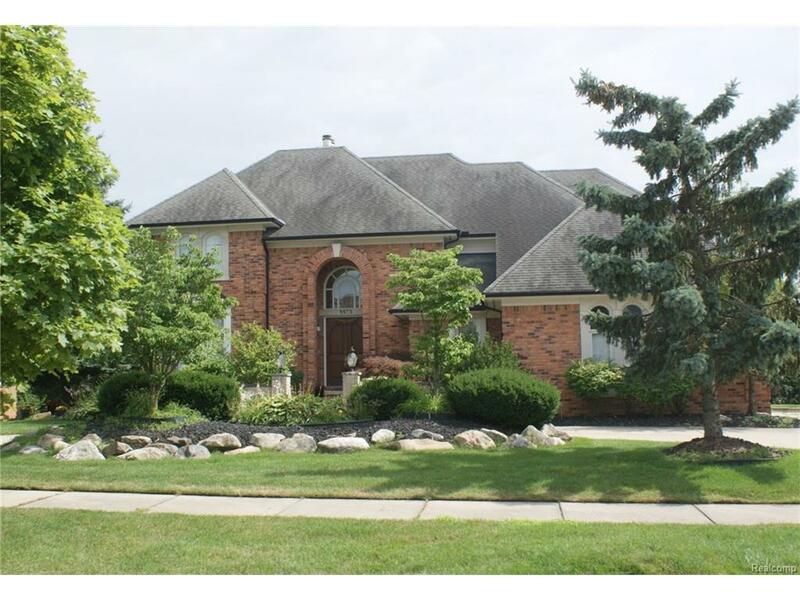 Open Interior features 2-Story Granite Foyer which Opens to 2-Story Great Room w/ 2-Way Granite Fireplace and Wall of Windows & Upper Bridge Over GR. Gourmet Island Kitchen & Breakfast Nook w/ Doorwall to Deck Overlooking Private Backyard. Family Room w/ Granite FP. Library w/ French Doors. Elegant Powder Room. Spacious Master Suite w/ His & Her Walk-In Closets & Marble Bath w/ Jacuzzi Tub. Finished Walkout w/ FP, Rec Room, Bedrooms, Full Bath. Circular Drive. All M & D Approx. Lease Offer Must Include Proof of Employment, Financial Application, Credit Report. Security Deposit 1.5 months rent. No pets, No Smokers. All M & D Approx.